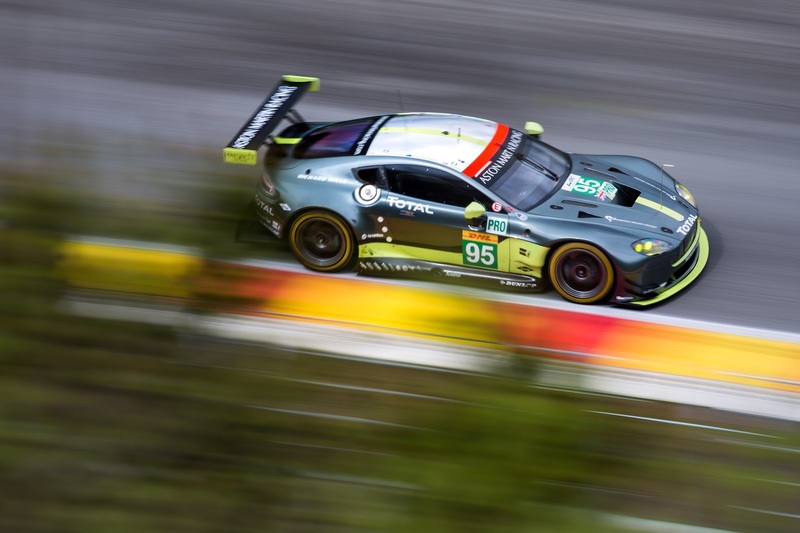 With qualifying duties for the #98 V8 Vantage GTE in the hands of Pedro Lamy (P) and Paul Dalla Lana (C), the pair soon found themselves amidst fierce competition for the top spot. After completing their initial runs in the 25-minute session, the pair found themselves placed in third. With three minutes remaining of the session and fresh Dunlop rubber fitted, Lamy returned to the cockpit in a bid to improve on his previous effort. After passing the start/finish line to begin his flying lap with 50 seconds remaining, his effort not only set an incredible 2m16.217 but also reduced the crew’s average lap time to 2m18.659 securing pole position in the dying moments of qualifying. Lamy said following the session, “I really had to do my best in my last lap as I really abused the track limits earlier in the session which meant my best time was cancelled. Things were looking a little bit difficult for me to get a good lap in before the end of the session, but in the end I pulled together a perfect one. I was trying to convince myself that it wasn’t possible to go through some of the corners like Eau Rouge so fast, as it’s really easy to abuse the limits at the top of the hill, but in the end I went with everything and managed to make it stick. I’m really looking forward to tomorrow”. Underlining the importance of Lamy’s effort, Dalla Lana said, “It’s just simple. It’s all about Pedro. He did a killer lap to make sure we got the pole we wanted. We both struggled with track limits earlier on, which meant we both had to do extra laps on the first set. By the time I could get hold of the car, the tyres weren’t in great condition but I did the best I could. Thankfully Pedro saved us with that final lap on fresh rubber”. The pair will be joined by Mathias Lauda (A) for tomorrow’s race. In GTE Pro, the #95 entry of Nicki Thiim (DN), Marco Sorensen (DN) and Richie Stanaway (NZ) will begin tomorrow’s race from P7, while the sister #97 car of Darren Turner (GB), Jonny Adam (GB) and Daniel Serra (BR) will begin from P8. Paul Howarth, Aston Martin Racing Team Principal commented, “Today’s performance from Pedro and Paul wasn’t the most straightforward route to grabbing pole but the most important thing is that we were able to get the job done when it mattered. His final lap performance goes to show that when it counts, our drivers are some of the best on this grid. 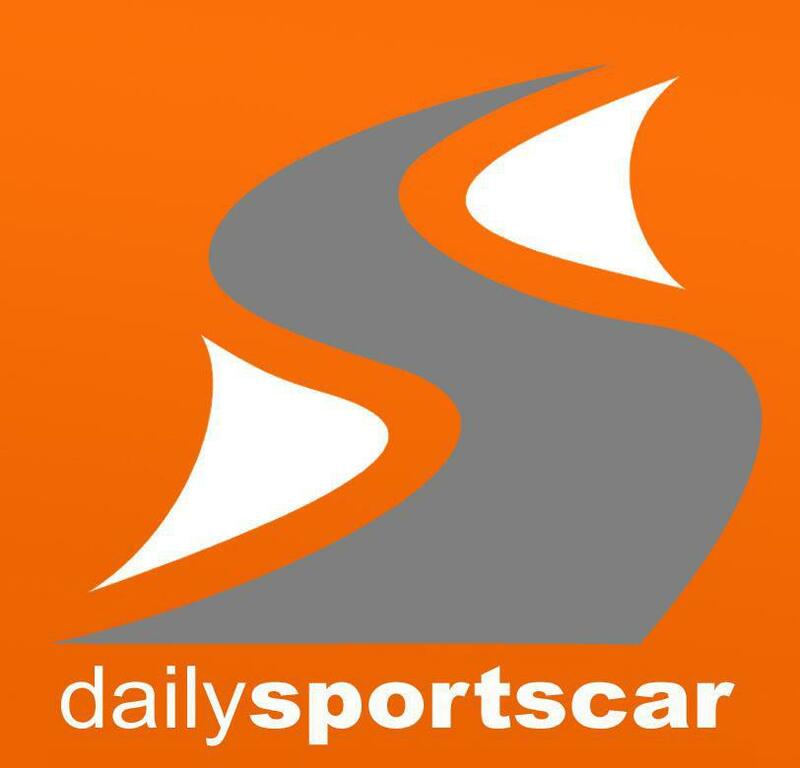 We’ll assess our strategies for both our Pro and Am entries overnight and we’ll be aiming to make sure that we’re in the running for strong points finishes in both classes at the chequered flag”. 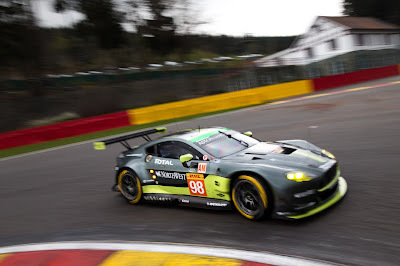 Tomorrow’s 6 Hours of Spa-Francorchamps begins at 14:30 CET.